The University of West Florida will host its second annual Day of Giving on Thursday, April 18, inviting alumni, students, parents, faculty, staff and friends to donate to 14 featured funds. The 24-hour fundraising event is an online, social media-driven effort that supports the University and its programs. The goal for the initiative is to bring all Argos together on one day and make a lasting impact for current and future students. The first-ever Day of Giving, held in 2018, raised more than $113,000 from over 1,200 people. Donations came in from 43 states and several countries, including Ireland, England, Costa Rica, Australia and New Zealand. Last year’s success in doubling the fundraising goal sparked the idea for this year’s theme: “Double the Goal, Double the Impact.” University Advancement also hopes to get donations from all 50 U.S. states. 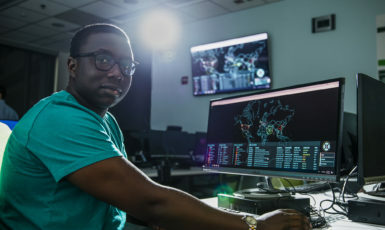 This year, two new featured funds have been added to the event: the Center for Cybersecurity and the Argo Athletic Band. 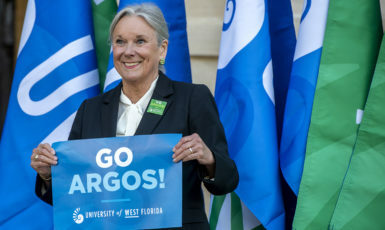 The other featured funds include Athletics, Student Emergency Support Fund, Military & Veterans Resource Center, UWF Historic Trust, Greatest Needs, Disabled Student Scholarship, First Generation Scholarship and each of the University’s five academic colleges. Participants can give online at dayofgiving.uwf.edu, in person or over the phone. Donations will also be accepted at UWF’s Pensacola campus on April 18 at the Day of Giving table located in front of Building 12 from 8 a.m. to 5 p.m., at the University Commons from 11 a.m. to 1 p.m. and the alumni tent at the Blue and Green spring football game on Pen Air Field. 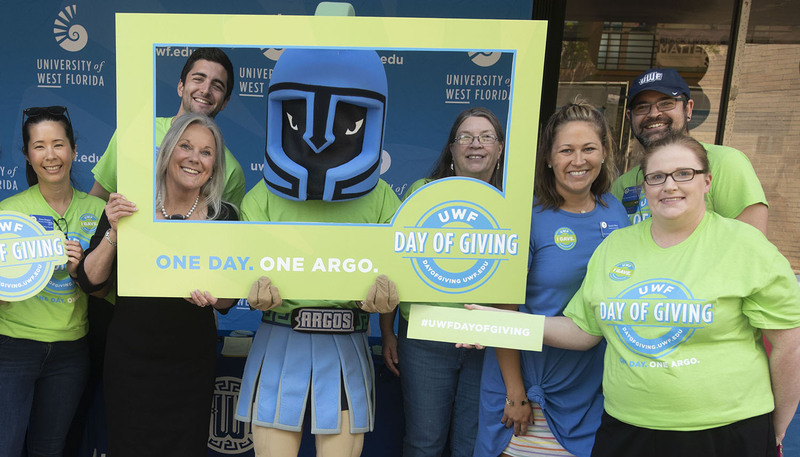 Argos and friends are encouraged to invite others to give and spread awareness of the initiative online using #UWFDayofGiving. The event is part of UWF’s Founders Week, a weeklong celebration that serves as an opportunity to bring the UWF family together, welcome alumni and visitors to campus and give back to the community. For more information on Founders Week, visit uwf.edu/foundersweek. For more information about UWF Day of Giving and the featured funds, visit dayofgiving.uwf.edu.